Pink wedding: a decade of marriage, how to congratulate the "newlyweds"? 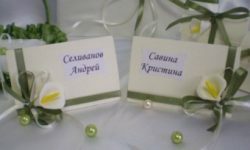 Home / Needlework / Day of roses or pewter wedding: how to celebrate the 10th anniversary of marriage? 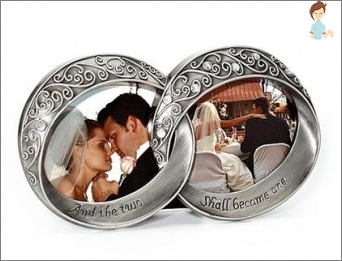 Day of roses or pewter wedding: how to celebrate the 10th anniversary of marriage? The anniversary of the wedding, as well as birthdays, can and should be celebrated every year. This family holiday helps "Freshen up"Feelings of spouses, brings relatives together and teaches to appreciate the years lived together. Each anniversary has its own name, which has a certain meaning. One of the most beautiful and touching events can be called the first decade. So what kind of wedding is celebrated in 10 years of marriage? Years fly by unnoticed, and now 10 years have passed since the wedding. In the people this event is called "The Day of Roses" or "Tin wedding". Why so? Tin is a soft, but durable material. 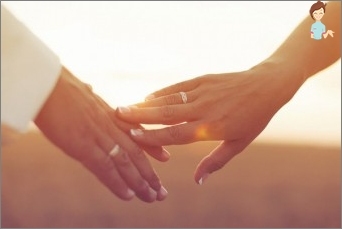 It is believed that by this time the spouses have already learned how to jointly solve domestic problems, understand the partner and give in to him. That's why they are compared with two tin spoons, which folded to repeat all the bends of each other. After 10 years of marriage, the couple, as it were, "Have grown together"And are one. The second name is also a symbol of the holiday -rose flower. Bright red flower is associated with the feelings of the couple, their love is strong, otherwise this holiday would not take place. Pink anniversary is associated not only with love, but also with tenderness in relationships. The main thing is that without thorns. Anniversary 10 years, and what wedding without guests? Whom to invite and how is it recommended to celebrate this event, what gifts can you give? What should be the company at the celebration of 10 yearsJoint life - everyone decides for himself. It is recommended that this event be celebrated on a grand scale. The parents of the spouses must be present on a mandatory basis and, if possible, invite honorary witnesses-witnesses and witnesses. At registration of a premise use real flowers,Tables are covered with pink tablecloths. It is advisable to cook more vases in advance, because roses on this day are a symbol of the holiday and there will be many of them. 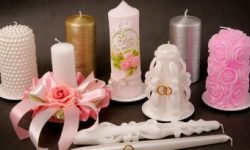 In the clothes of the spouses there must be elements and details of pink color, "bride"Can decorate a hairdress with live flower buds or a pink veil. Dishes are prepared at their discretion, butThere must be a festive cake, as well as a wedding. If you beat the name of the anniversary, you can offer guests a rose wine and champagne. When cooking, use pink sauces and decorate dishes with roses. To ensure that guests and hosts are not bored, in advanceA program of the event is being prepared. Congratulations and poems can be read by one person or each person does it themselves. It is recommended to prepare several competitions and drawings, small prizes and gifts. Spouses can re-pronounce the oath of loyalty,Having read it as poetry. You can compose the text yourself or find it on the Internet. After that, exchange gifts. By the way, the husband must present his wife with a bouquet of 10 chic red roses and 1 white. The first symbolize lived years full of passion and love. A white flower is a symbol of hope for a long and happy life together. Special attention is paid to the shooting of the event. To do this, you can hire a special operator or instruct it to any of the guests. It must be a person responsible and able to work with equipment. 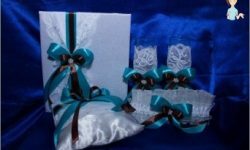 Naturally, the guests will want to present gifts, read poems and say congratulations. What presents and speeches will be relevant? What to give, how to congratulate? This anniversary is considered romantic, thereforeToasts must be appropriate. Congratulations on the 10th anniversary of the wedding can be touching or comic, but with the wishes of long years of living together, love, health and happiness. It is very symbolic to read poetry about the love of his own work or to quote the works of famous classics. Since there will be many colors, it is appropriatePresent a beautiful vase. For 10 years, you can give pink bed linens, blankets and tablecloths. In general, all you want and a bouquet of roses. Greetings should sound sincere, and gifts should be not only beautiful, but also useful. Spouses are also encouraged to exchange presents. For this day, expensive jewelry, lovely, but desired trinkets. A spouse can compose poetry for 10 years of the wedding, andWife to present a set of tin soldiers, baits made to order or elite alcoholic beverage in exclusive packaging - the present can depend on the preferences and hobbies of her husband. Gifts can be different, the main thing is to do it with love and with a pure heart. 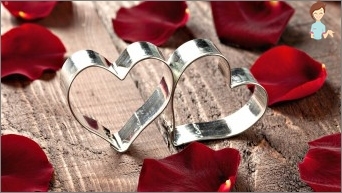 The husband of his lover can present as a gift decorations made of tin or a refined piece of interior from this metal. The first decade is an important milestone in the life of the newlyweds. After all, after the poetry, congratulations and cries of "Bitterly", The couple had to solve many problems. And only with honor withstanding all the trials, they will be able to approach this date. Day of roses is a holiday of tenderness, love andProsperity. Spouses should not forget about this. And further on it does not matter which wedding will be next and how many years you will live, the main thing is to cherish the relationship, like a rose donated for this anniversary.